Tour Creator is a new tool released by Google a few days ago which allows you to create your own VR tours. 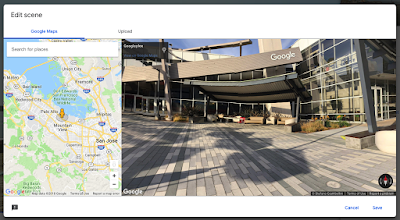 Students can use it to create rich 360 experiences using their own 360 photos or images from Google Street View and Google Maps. The process to create immersive 360 tours is simple and easy. Head over to Tour Creator and click on ‘Get Started’. Click on ’New tour’ and provide a title and description for your tour and upload a cover photo and click on ‘Create’. Students can either use their own 360 photos or find one on Google Street View. They can also use Google Maps to add scenes and highlight points of interest. Once finished they can share their tours via generated link or through an embed code to use to upload their tours to class blog or website. Tours can be viewed on any mobile or desktop platform or through Google Cardboard viewer. 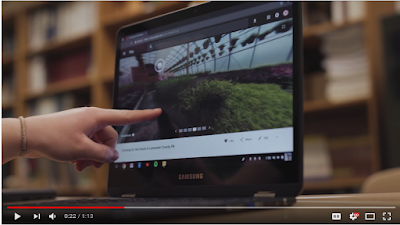 Watch the video below to see how ‘one school in Lancaster, PA is using Tour Creator to share why they love where they live with new friends across the world’.